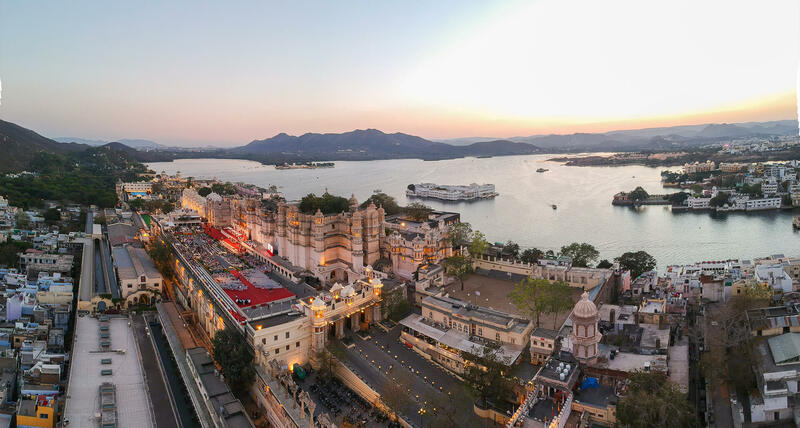 The heritage city of Udaipur, one of the most sought-after destinations in Rajasthan, radiated with music and dance with the most talented artists and musicians performing during the 4th World Living Heritage Festival (WLHF) – 2018. The Festival took place between 17th and 20th Oct 2018 and garnered applause from all over the world. This was the fourth edition of WLHF, which happens every two years, and it was way grander than its previous editions. The main objective of the event was to promote the living heritage of our arts and crafts, folklore and oral history, varied facets of our diverse culture, and traditions of India through dance and music before a myriad audience. The festival began with the prestigious and pious ritual of ‘Ashwa Poojan’ (worship of horses). According to the Vedic traditions, the horse has a great religious significance; they are a symbol of loyalty, self-respect, and power. The following days displayed events that were rooted in Mewar and Rajasthani cultural heritage. Srajan, an art and craft bazaar became a prime attraction for the people coming to visit the extravaganza at the Zenana Mahal of the City Palace. The bazaar displayed the creations of craftsmen working on textiles, jewellry, wood, metal and terracotta. It was truly a mela of our living heritage in the crafts. There were workshops being conducted by the master-craftsmen, much to the delight of the delegates and visitors. Mornings and evenings were dedicated to performing artists from all over India presenting Indian classical and Indian ethnic music taking the Festival to another level of fun and entertainment. The maestros displayed their skills in front of large and enthusiastic crowds and painted a grand picture of India’s precious culture. At the scenic Gulab Bagh gardens were organized the morning concerts, while at Fatehsagar Pal along the Fateh Sagar Lake were the evening concerts. The sweet melodies of Bhajans, Carnatic music and Gurbani gave the Festival a touch of devotion. Workshops were conducted on various arts by speakers of different countries who had an in-depth knowledge of various art forms and expertise in heritage management. Sessions were beautifully delivered and delegates were filled with curiosity to explore more about the topics. 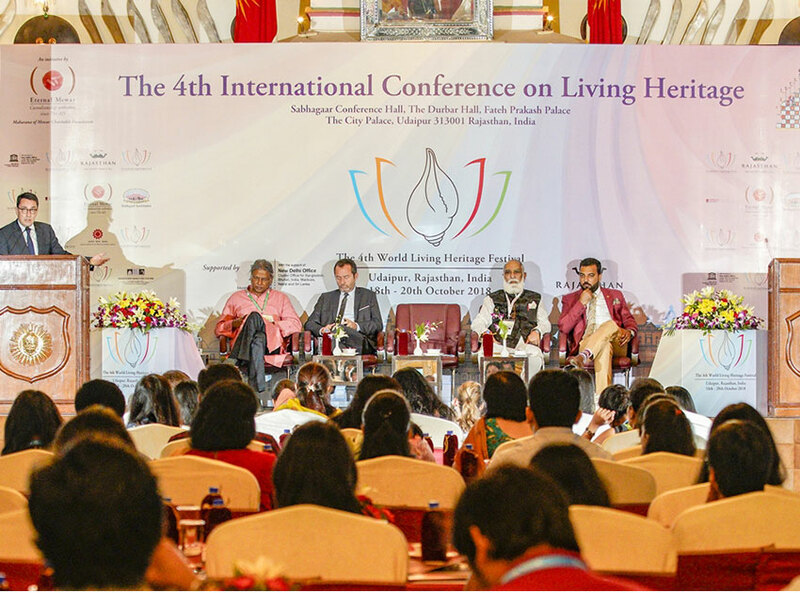 Prestigious institutions like the Embassy of France to India, UNESCO New Delhi Office, Rajasthan Tourism, DRONAH Foundation, Ahmedabad University Centre for Heritage Management, Singhad Institutes and the Indian Institute of Craft and Design, Jaipur were associated with the 4th World Living Heritage Festival: truly a larger than life experience for everyone.